Irina Razumovskaya (Personal show 2017). Ida Wieth - (Copenhagen 1983) combines the conceptual poetical of the artist with the technical knowledge of materials and techniques of the artisan. 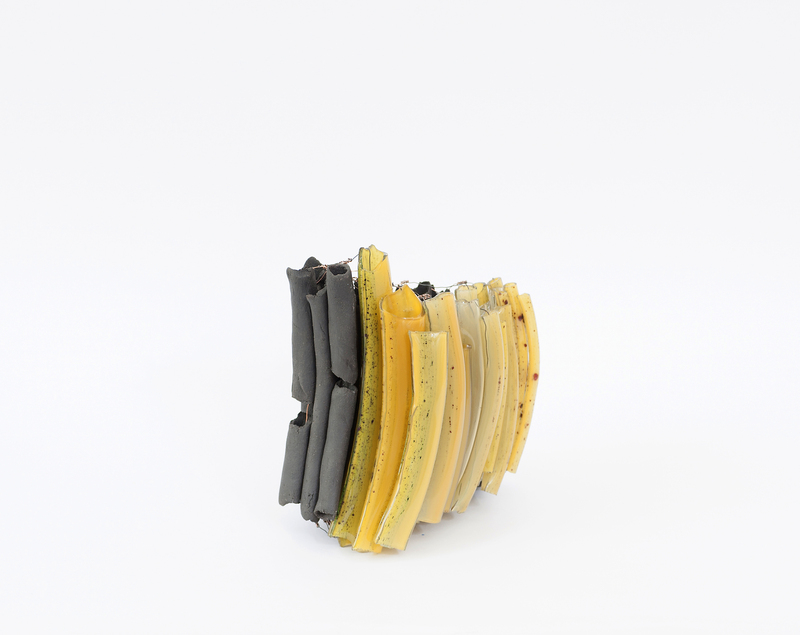 She uses both glass and ceramics and sometimes wood to bring forth aesthetic innovation. 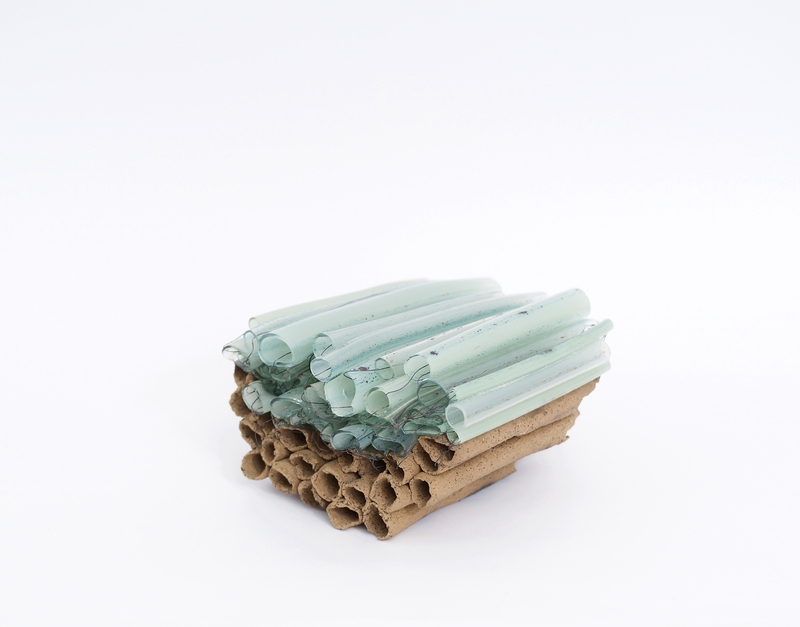 Wieth’s artisan persona blows and pulls “straight lines” of hot glass into hollow tubes to form fragile structural layers. 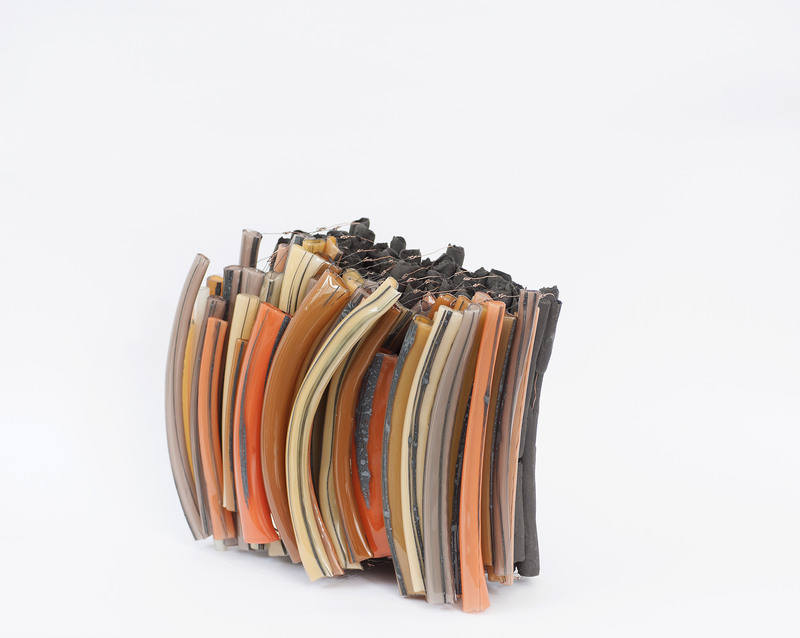 These layers are then re-shaped, re-melted and assembled with thin copper wire before being paired with ceramic tubes, revealing her conceptual approach. Wieth’s idea for the series springs from both the found and made - and from persistent observations of seeing and valuing things from more than one perspective. The sculptures in her series “Both Sides Now” relate to composite and eclectic elements within things - how there is always another side, and how this can come across differently depending on preconception, perspective and sensory perception. The copper wire that connects the two sides, is of the same origin and appears in both its fired and unfired clear form. This too, emphasises the variability of perception seized from processed and assembled material. Wieth studied in Edinburgh, Sweden and Denmark. Her work has been mostly shown in Denmark and Japan and earlier this year she was granted with the prestigious Hempel Glass prize.